Prepare for the unexpected when you watch Nike’s crazy new commercial. Every football team has a player that sends a shiver down the spine of the opposition and American sportswear giants Nike have brilliantly played on the aforementioned sentiment in an advertisement for their latest football boot, the Phantom. DON’T MISS | Should Manchester United fans be worried after Paul Pogba’s latest Instagram post? 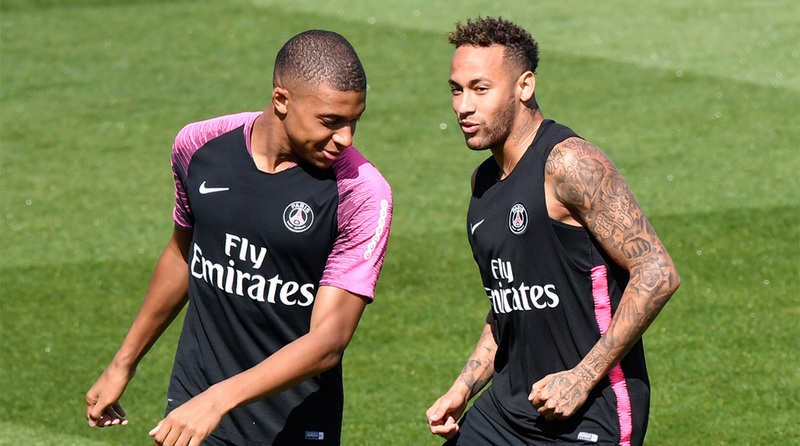 Even Pierre-Emerick Aubameyang of Arsenal and Paris Saint-Germain superstar Neymar can’t quite believe the urban legend of the Phantom. With four, six and eventually eight legs, it’s almost impossible to believe what Coutinho quite does in the advert, but then again, Barcelona’s new No.7 is no ordinary player. Neither is De Bruyne, the other player to feature heavily in the commercial, but can they really do what Nike has touted ahead of the 2018/19 club season? It’s great to see USWNT player Mallory Pugh get some screen time as well even as legends like Pirlo and Ronaldinho make their presence felt with some fun cameos. Nike are known for their creative football advertisements and along with rivals, Addidas, dominate the sport with respect to the number of athletes, clubs and league that they endorse. De Bruyne will next be in action when his Manchester City side take on Aubameyang’s Arsenal in their Premier League fixture on Sunday (2030 IST) at the Emirates Stadium. Meanwhile, Coutinho will seek to prove that the advert isn’t that quite incredulous when Barcelona play Sevilla in the Spanish Super Cup on Sunday night.